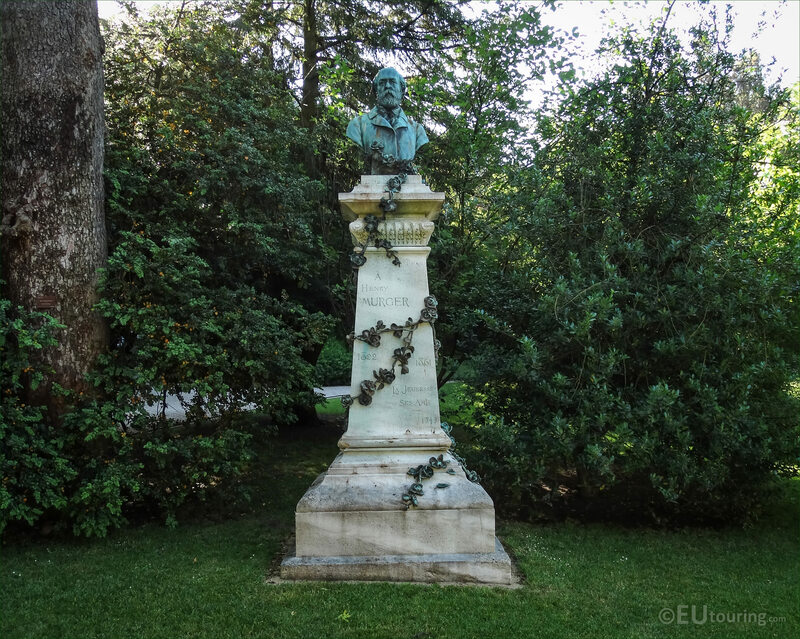 We were again in the popular Paris park of the Jardin du Luxembourg, which has become a famous tourist attraction in the 6th Arrondissement of the city, when we took these high definition photos showing the Monument to Henry Murger, by the artist Theophile Henri Bouillon. 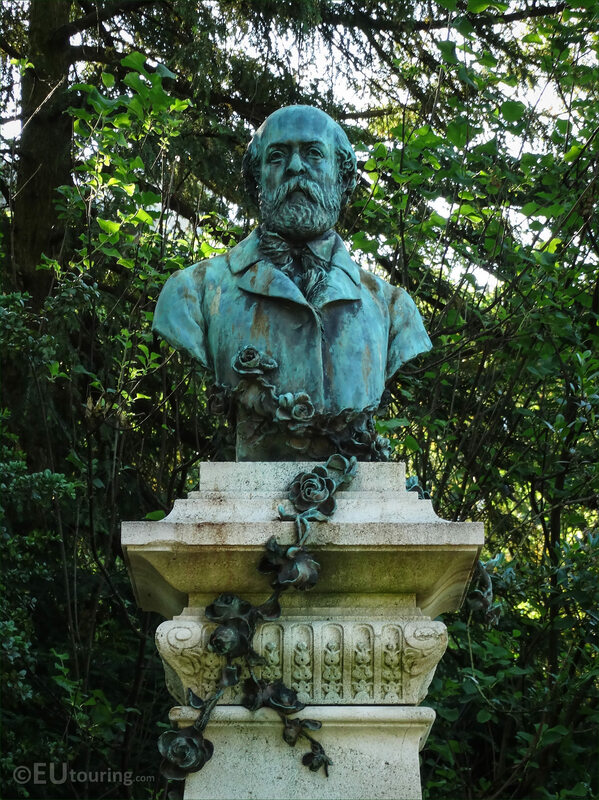 This first HD photo shows the full Monument to Henry Murger, which has a stone base and pedestal with a bronze bust and bronze flowers, which was paid for by hundreds of people who contributed to the construction of statue dedicated to this poet and writer. 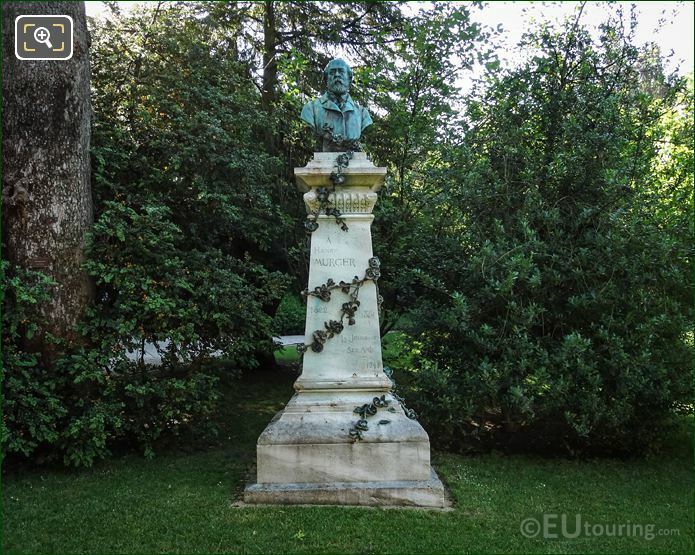 And it was inaugurated on 28th June 1895 within the Luxembourg Gardens under the chairmanship of Raymond Poincare, who was the Minister of Public Instruction and Fine Arts at that time. 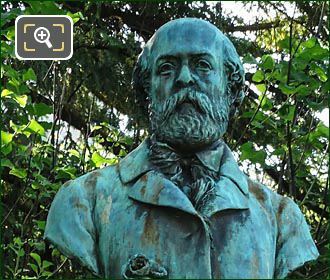 So this next image shows the bronze bust of Henry Murger, who was born in Paris on 27th March 1822 with the name of Louis Henri Murger, and coming from a poor background, he left school at fifteen and had several menial jobs before he managed to get work at a lawyers office. 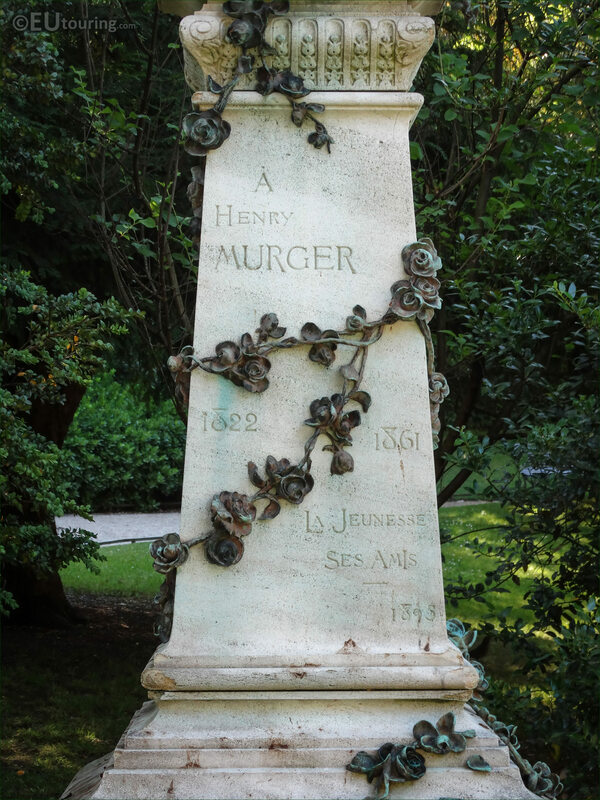 However, Louis Henri Murger, had always enjoyed writing, and having written poetry, prose and even edited for magazines, early on in his career he started to use the name Henry Murger spelt the English way, which is how he is remembered today. Now, Henry Murger wrote a novel called Scenes de la Vie de Boheme, which was his first major success, and a sequel followed, plus he produced other works, but with severe health and financial problems, he died in hospital on 28th January 1861 at the young age of only 38. In fact, it was the French state that had to pay for his funeral, yet he had such a following and many literary friends from his early days of writing, that it was through their generosity that the monument you can see here was even made possible, and this is why the inscription on the pedestal to bottom right hand side generally translates in English as The young people, his friends. And as we mentioned before, this monumental statue was produced by Theophile Henri Bouillon, who was born in 1864 and became a French sculptor, mainly focusing on busts, just like the bronze bust you can see mounted on top of the stone pedestal, which in itself is a height of 0.8 metres, and the total height of the monument is 2.8 metres. 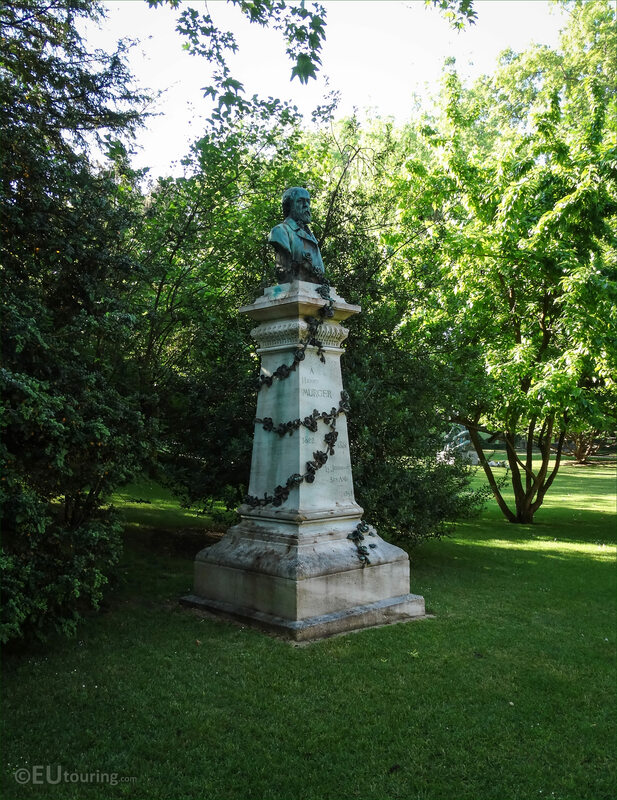 So as we mentioned earlier, this is situated within the Luxembourg gardens, and is located close to the Palais du Luxembourg in the NNE corner of the garden near to where the Rue de Vaugirard meets the Rue de Medicis.